On November 6, 2011 my daughter Amanda ( Mandy) Markham passed away unexpectedly from an undiagnosed abdominal aneurysm. She was an only child and was only 31 years old. She left her two adorable children behind. Jada, ten years old and Nicholas who just turned five. 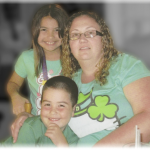 Mandy was a single mother and had recently moved back to our home in Lantana with her two children. Her passing left us all completely devastated especially my grandchildren. Her stepfather, Matt Orf and I had no question that we would be raising our grandchildren for Mandy. At the time we were not doing great financially due to the economy and now we faced new financial and legal problems raising two children. Around this same time, Lantana local and lifelong friend, Craig Lamb was planning a Lantana Reunion BBQ/get together with all our childhood friends. He was using the “I’m a Fan of Lantana, FL” Facebook page created by Bob Murdorf to spread the word. When Craig heard about Mandy he decided to make the reunion a fundraiser as well. So with help from Bob Murdorf, Tom Fogleman and Mark Zielter they moved forward with their plan and contacted us to let us know. We were so grateful that our daughter Mandy Markham would be honored by this benefit. We were so honored as well that our friends would do something like this for the children and us. 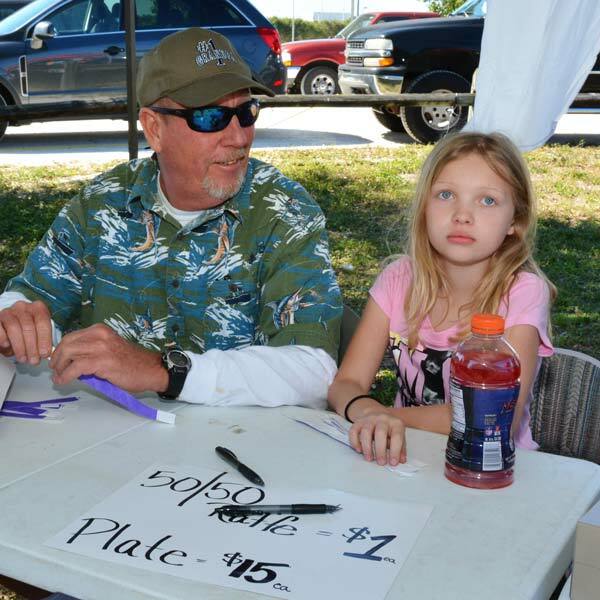 Well, the word got out and the whole town of Lantana was abuzz about this Feb. 2012 event. Craig decided to call it Lantana Reunited (which continues to this day). I honestly didn’t even think at this time I would be emotionally able to attend on the actual day. My heart was ripped out. 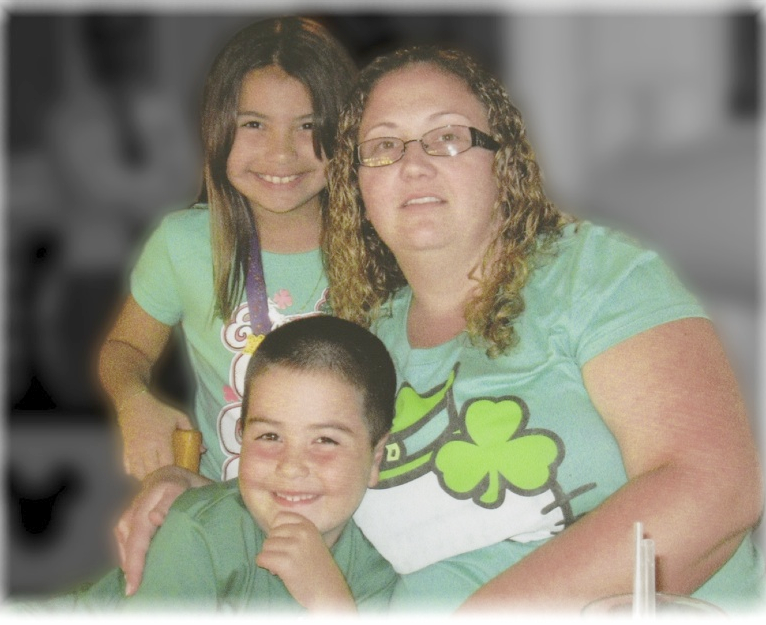 My family and I were so overwhelmed with grief that it was hard just getting by day to day. We ended up getting involved in the planning and preparations and it was so helpful to see all the love and support from our old friends, the community and even people we never met. 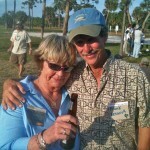 You see my husband Matt Orf and I had been heavily involved with fundraisers for many, many years. Always as the promoters, never the recipients and this was very humbling and heartwarming at the same time. It helped us to heal a little bit by getting involved. It was a quite uncomfortable for us to be on the receiving end. We were usually the ones raising money to help someone else in need. The Benefit/BBQ/Reunion was a huge success and there were well over 500 people attending throughout the day. At the end of the day when all was said and done Craig handed me $3,300 which was so awesome and was such a big help at that time. We are still to this day very grateful for Craig, Bob, Tom and Mark for thinking of our family at such a tragic time for us. 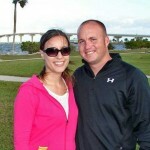 There were also countless other friends and family that went above and beyond for the event. Lantana Reunited is now called Building Bridges Heart 2 Heart, and has become a 501-c3 non-profit organization. I am proud to call all of these people involved my friends and my grandchildren and I will always be there to help out each year to pay it forward. This will be my fifth year working closely with Craig at his annual event and it is always a big success and a lot of fun. Steve and I wanted children for a couple years, but we had a very difficult time conceiving. We were absolutely elated when we found out that we were having a baby, and even more excited when, at six weeks, we found out that it was actually twins. It was around this same time that Steve accepted his first football head-coaching job in Loxahatchee, FL. Steve’s dream was always to become a head football coach, just like his dad and grandfather had been. It seemed like everything was going perfectly for us. At 18 weeks pregnant, our happiness was marred when we found out that there were some problems with our daughter. At about 22 weeks, the doctors told us that there was a considerable amount of fluid in our daughter’s brain, as well as something wrong with her spine, heart and kidneys. They diagnosed her with Spina Bifida. We realized that we needed to be near a Spina Bifida clinic in order to give our daughter the best medical care. Unfortunately, this meant that Steve had to give up his dream of being a head football coach for the time being. Fortunately, he was blessed with a position coach and teaching job near Jacksonville, FL, where there was the clinic we needed. At 30 weeks pregnant, the doctors did an MRI of the babies. Our daughter was subsequently rediagnosed with Aqueductal Stenosis, which is a blockage in her brain between the third and fourth ventricles. Although this meant that her spine and other organs were now fine, it meant that the fluid was compressing her brain, causing severe swelling. When she was born on July 30, 2013, she was born with a 46 cm head, which is the size of the average 14-month-old’s head. We named her “Mahniya” which means “beautiful blessing”. The fluid took up most of her skull, and it was pressing the rest of her brain into a small sliver against the bone. At two days old she had her first surgery to place a shunt to begin to drain this fluid. Despite this surgery, she was left unable to eat inadequately on her own, and on September 11, she had surgery for a permanent feeding tube. After 60 days in the Neonatal Intensive Care, we brought her home. While Mahniya was still in utero, we had been accepted into Duke University’s cord blood infusion program, which is an experimental procedure to help reduce any brain damage. A week after we came home from the hospital, we made the seven-hour trip to Duke in order to give Mahniya the best chance at a “normal” life. While there, the nurses noticed that her head had swollen more since leaving the NICU. We were immediately referred to a neurosurgeon, who informed us that Mahniya’s shunt had malfunctioned and she needed emergency surgery. She received her third surgery on October 3, then it was determined that her valve also needed to be replaced, so she had her fourth surgery on October 5. 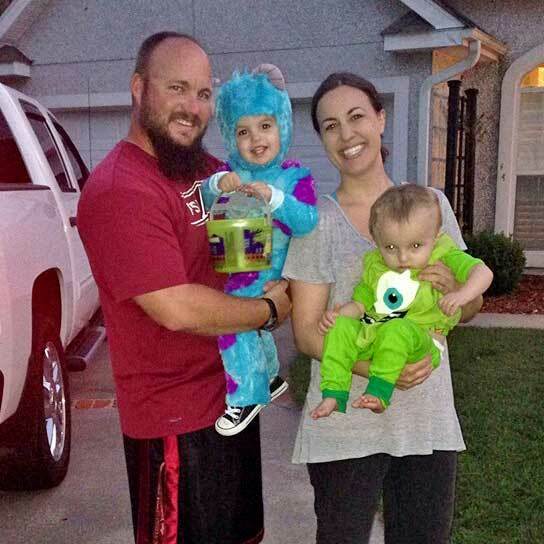 Her cord blood infusion had to be delayed until a later date. We are left wondering what the future holds for our daughter. We know that she will be severely delayed physically due to the size of her head, which she is unable to move at this point. We still are waiting for the fluid to go down around her brain to see how serious the damage is to her brain, or whether or not her brain formed correctly in the first place. We know that after four surgeries in the first two months of her life, we can expect a long road ahead of us. We are also hoping that the cord blood infusion will accomplish what they think it will and help her develop as best as she can. With all the unknowns, and with two babies to take care of, one of which requires an extra amount of care, I was unable to continue my job as a high school teacher. It is difficult for a family of four to survive on a beginning teacher’s salary, especially with mounting medical bills, but we feel like this is the best option for our daughter for the time being. We appreciate all the prayers and support through this time. I apologize if this was too long for your purposes, but this is our whole story. Please let me know if there is anything else I can do to help with the process. We are so thankful for your kindness and help for our daughter. My husband, Frank Beswick was diagnosed with a very rare and deadly thyroid cancer at the age of 57, he was given 6 weeks to live at the time of diagnoses, the name of this evil disease is Anaplastic Thyroid cancer. He was not willing to settle for that, he wanted to fight and wanted doctors who were going to fight with him. 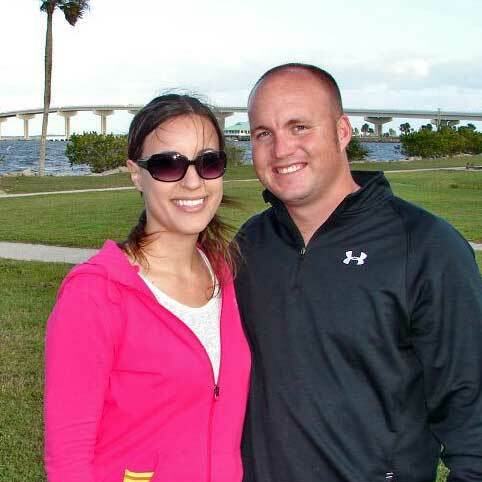 So he signed over his half of his company to his partner, applied for disability, closed our home down, moved to Tampa and moved in with our daughter, Veronica. We ended up at The National Institute of Health in Bethesda Maryland, where the thyroid was removed, no one else would operate. They said he was too far gone. He went through treatment and then he actually had 2 clean pet scans, but we knew in our hearts this cancer was never going away. There was a small spot on the sternum, which is bone, so we knew eventually it would rear it’s ugly head again. The treatment was brutal. 37 radiation treatments, chemo, then repeat. Besides suffering through treatment we had a wonderful 3 1/2 years together. Because he would not give up, he never complained. Frank always found good in everything. He had a feeding tube in for 9 months, which was the worst, because he loved to eat. When we received word in January of 2013 that Craig had made Frank one of the beneficiaries for his, Building Bridges Heart 2 Heart fund raiser, we were both honored and humbled, Frank and I both grew up in Lantana, raised our children here, and loved this little town. Frank and Craig have been life long friends growing up just houses away from each other. Even though they had not seen each other in over 25 years, Craig reached out to help an old pal. I can not put into words how this changed our lives, we were at our lowest point, the cancer was back in his bones and we knew we was in trouble. Still Frank fought on and never complained. This benefit showed Frank how much all the people in this awesome little town cared about him, it amazed him and he felt very honored to have been chosen. I want all of you to know that the money we received from this benefit was used to save our home. It paid the windstorm insurance for that year. Through the love of family we had managed to stay afloat. With the help from our children we pulled through the darkest, worst financial times. Thank you to all of the caring, wonderful, giving and loving people of Lantana, you are truly amazing. Our entire family thanks you all, for making Frank feel like he mattered. Frank lost his battle to this nasty cancer June 23, 2014. We love and miss him every day! But we know he is resting in God’s loving arms, not in pain anymore. Thank you Craig, and your charity Building Bridges Heart 2 Heart, for all you did for Frank and the entire Beswick family! We love you, and appreciate all you do!!! When Craig Lamb told us that our daughter, Mahniya, would be the beneficiary for his 2014 fundraiser, we were both surprised and appreciative. Mahniya was born with a condition called hydrocephalus, which caused our daughter to have substantial brain damage. She is only two, but has had numerous surgeries, including three brain surgeries. Our medical bills were overwhelming, and we were humbled that someone who we had never met before wanted to help us. Our expectations were completely exceeded by Mr. Lamb and the benefit. The event was wonderful, and complete strangers treated us like family. They raised more than we could have ever hoped for, and for that we are incredibly grateful. The money was used to travel to Duke University Hospital so that she could receive multiple cord blood infusions to hopefully help minimize Mahniya’s brain damage. I am a firm believer that these experimental infusions are the reason that our daughter is developing as well as she is. If it were not for people like Mr. Lamb and Building Bridges Heart 2 Heart, our daughter could not have had the chance at receiving these life-changing procedures. We are forever indebted to them for what they did for our baby and us. Building Bridges Heart 2 Heart has once again stepped up to help Mahniya. Mahniya needs special physical and cognitive therapy as well as another possible brain surgery. BBH2H is honored to hold another benefit for Mahniya on Feb. 13th, 2016 so that she can be the best that she can be. We are now officially “Team Mahniya” and wish her the best. When you are going through this kind of traumatic experience and I can’t begin to explain the way you feel. It is great when someone you don’t even know, Craig Lamb of Lantana Reunited, now known as Building Bridges Heart 2 Heart, steps up and organizes a benefit for your child. 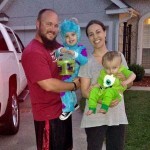 Having the benefit helped our family in ways I wouldn’t have imagined. It is nice to see old friends and strangers show their support. 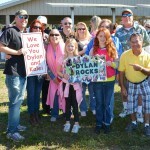 Dylan is doing a lot better and is going back to school and still fighting strong. 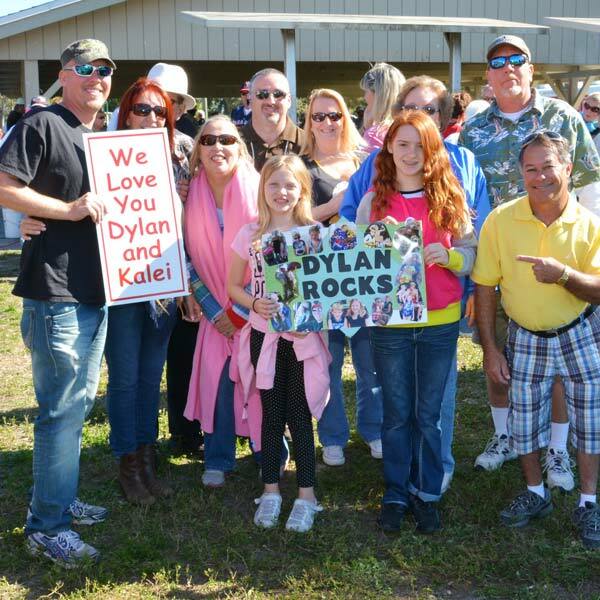 Dylan was in the hospital during the event and he and his mom were not able to attend, but BBH2H gathered a group of complete strangers along with some family friends and left the benefit to go to the hospital to show them pictures and video of the event. It meant the world to Dylan. Thanks Craig and long time family friend Roy Wilson and his entire family for everything you guys did it really made a huge impact financially and helped us out tremendously.